This little snuggler was a champ during his newborn session. His big brother Hank was the proudest brother ever to show off his new baby bro and we had the best time reading stories and taking snack breaks. One of my favorite parts about this session was the crib that baby Luke slept in. It was passed down through several generations and meant so much to the family. 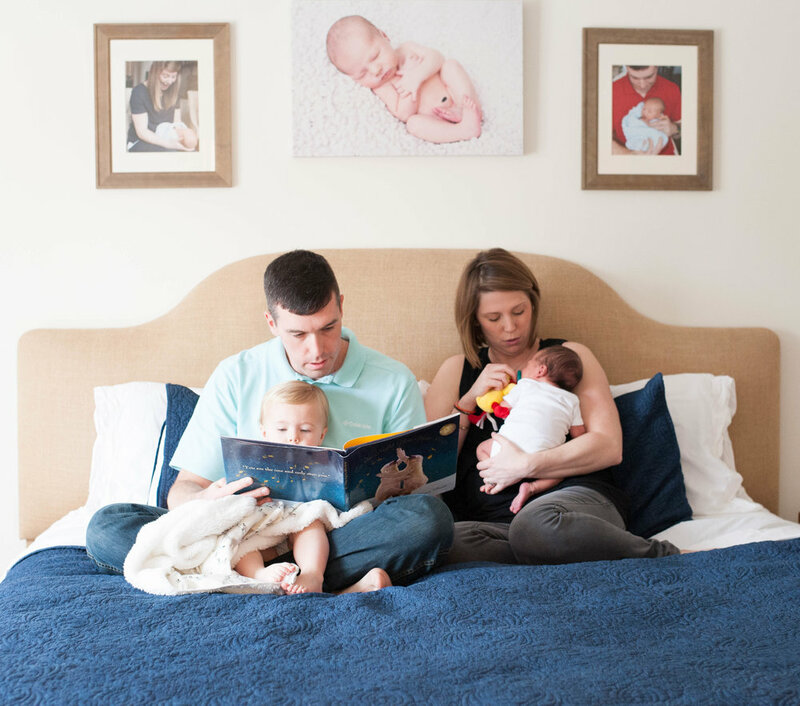 I was so honored to get to capture some moments with this sweet new family of FOUR! Congrats on your newest bundle! Yall make one pretty cute family! This little bundle of joy was the sweetest! We started the day waiting for baby Florie to fall asleep, but soon realized she didn't want to miss out on any of the fun, so she stayed awake the whole time and we had the best day! I'm so thankful this sweet family welcomed me into their home and I can't wait to capture more memories for them in the future! Theres nothing sweeter than the innocence of a newborn baby. These sweet faces are one of my greatest joys to photograph! The Davis family welcomed their newest arrival and I loved having the honor of capturing those first moments of life for this little one. Want me to shoot your newest arrival! My sister welcomed her second bundle of joy into the world. Davy Mac Walters is the newest addition to the family and she honestly couldn't be more perfect. Her big brother seems just as excited as we are and I definetly had to sneak in some snuggle sessions in between shots with these two. If you can't tell, they have my heart. Davy Mac, you are adored. Want to capture the moments of your newest arrival!